A new policy, and changes to an existing policy, introduced by the Province of Manitoba will bolster small-business stability in support of community economic development. The two measures included in the Budget 2014 implementation bill – a new Employee Share Purchase Tax Credit and changes to the CED Tax Credit – will stimulate investment in new community businesses and facilitate succession for existing ones, sustaining employment for Manitobans. New to Provincial legislation, the Employee Share Purchase Tax Credit is meant to ensure small-businesses remain open when their owners choose to retire. New business owners (partial or whole), including employees, are eligible for a 45% tax credit. Since 2004, the CED Tax Credit has been used to leverage approximately $2.25 million in nine community-owned businesses around Manitoba. In response to recommendations in a recent CCEDNet Report ("Mobilizing Community Capital for Co-op Development in Manitoba") and a CCEDNet - Manitoba member resolution adopted in the fall of 2013, the Province is raising the tax credit from 30 percent to 45 percent, which will provide more incentive for Manitobans to invest in local small businesses. Measures such as these to improve financing options for community economic development and will enhance financing options in support of social and economic opportunities in communities across Manitoba. 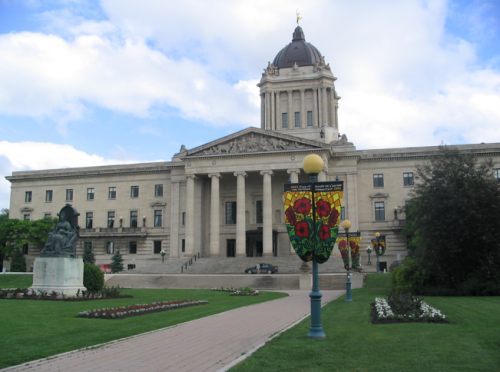 CCEDNet – Manitoba members' policy resolution recommends several measures to strengthen the CED Tax Credit, in addition to the increase announced in the budget. Measures such as these to improve financing options for community economic development will strengthen social and economic development in communities across Manitoba.